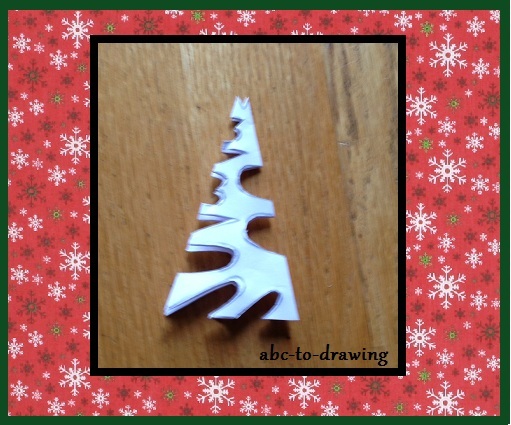 This is our fourth ABC snowflake. It is made of printer paper. You can even use newspaper to make it and it will still be as pretty. 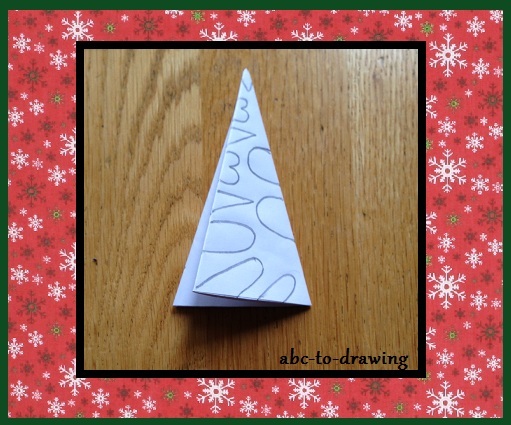 Lets make our paper snowflake now. We make the basic triangle shape from here . This is where you will learn how to cut 3 easily. We write V at the tip. Wr then write 3,V,3,V, turned around C on one side. We write two C on the other side. We write two upside down U at the flat end. This is how it looks when cut. Open! Is it not magnificence! 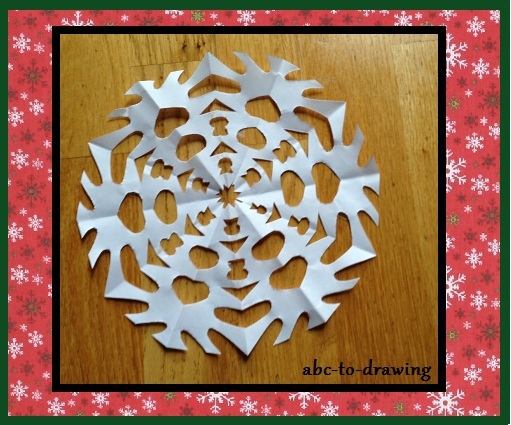 Our very easy to make but extremely pretty snowflake is ready!